TMHS held a successful Post 16 Open Evening on Thursday, 8 November 2018. It was attended by over 90 prospective new Post 16 students, along with their parents and carers. There was an opportunity to speak with course tutors and experience the wonderful learning environment on offer at Temple Moor. 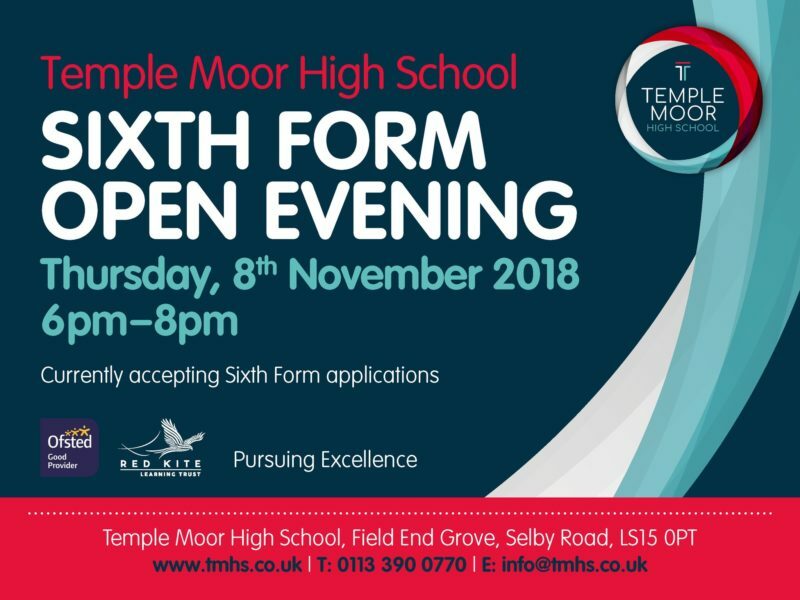 There are over 30 courses available at Temple Moor for sixth form students and these are outlined in our Post 16 Prospectus. Please get in touch with our Post 16 Team if you need to find out more.